Sunday as the snow started to fall I decided to try a few new cookie recipes. 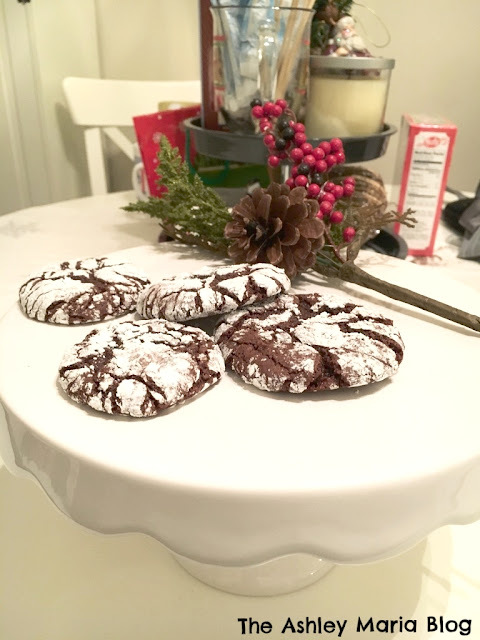 One of these were Chocolate Crinkle Cookies, and boy did they not disappoint! 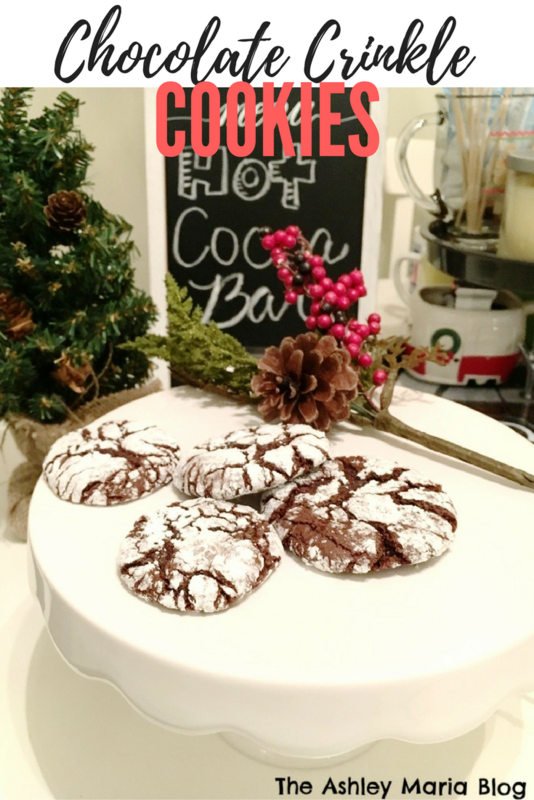 I suggest if you plan on making a bunch of different cookies in a day, make this dough first. The colder the dough the better to form your balls. 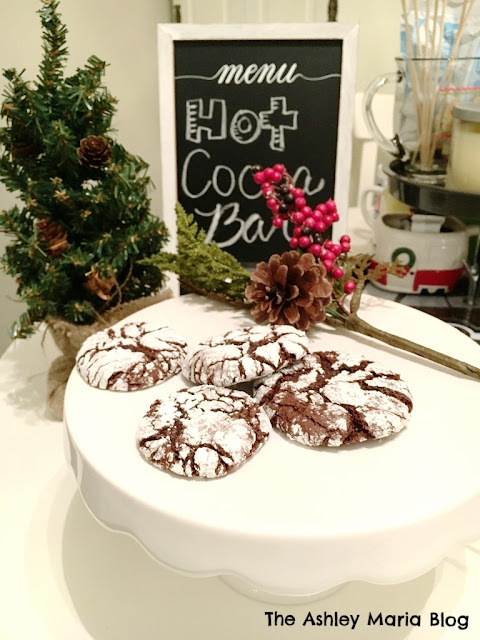 This recipe will yield about 2 dozen, depending on the size of your cookie! In a medium bowl, mix together cocoa powder, sugar, flour and salt. Put to the side. In a mixing bowl (either hand mixer, stand mixer, or by hand) whisk together vegetable oil, vanilla extract. Add your eggs one at a time and whisk after each egg. Once blended together, add 1/3 of your dry mixture. Mix on low for about a minute and repeat until dry mixture is blended with wet mixture. Cover and put in refrigerator for 3 hours or over night. The colder the dough the easier it will be to roll the balls to bake. If the dough is too sticky to roll, that means it's not cold enough. Once chilled, remove from refrigerator and begin to roll about a teaspoon size ball which your hands. One at a time, roll your balls into the confectioners sugar to coat it. Place on a parchment paper lined cookie sheet about 2 inches apart. Bake in over at 350 degrees F for 7 minutes. Enjoy your chewy, delicious cookie warm with milk. Best served day of baking or day after. If saving, place in sealed contained for about a week!